This is the release announcement of Netrunner 14.1 Main Edition (Frontier) 64bit and 32bit. The “14.1” indicates an updated and polished release of Netrunner 14 LTS on the same underlying base. Since 14.1 is using the same base “trusty” like Netrunner 14, there is no need for users of 14 to migrate: Simply updating from the shared backports ppa of the Frontier release cycle should give the same result, while keeping customizations in place. So 14.1 is a fresh starting point for new users who want to install an up-to-date KDE4-based system from the ISO. 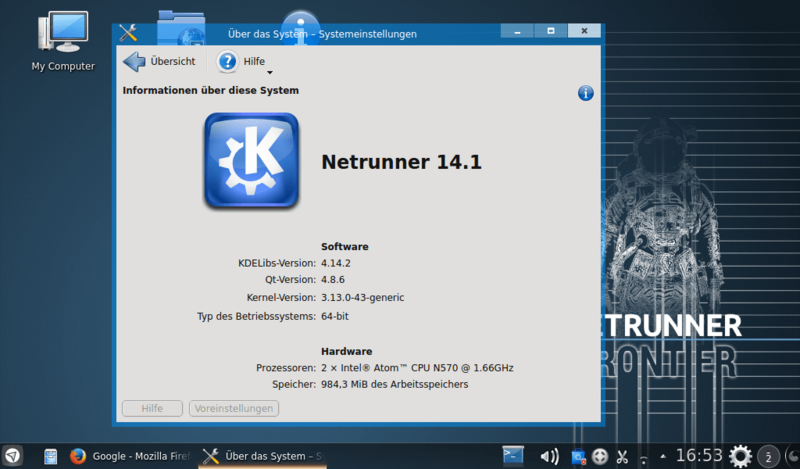 This is the first time we are working on both updating our current LTS base (Frontier), while at the same time preparing the next release Netrunner 15 (Prometheus) with the brand new upcoming KDE Plasma 5.2. We will continue with this model and release 3 updates for each LTS version, accompanied by regular releases off the ongoing base of Kubuntu. 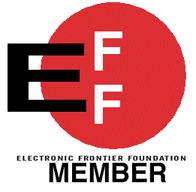 Therefore Frontier remains our stable KDE4-based version for another 1 1/2 year, while Prometheus will mark the transition from KDE4 to KDE Plasma5. Since Netrunner primarily targets desktop users, we decided to extend the support line of each LTS only up to the point until the next LTS becomes available (2 years). KDE SC was updated from 4.13 to version 4.14, which improves the new semantic desktop search Baloo which replaced Nepomuk. Samba-Mounter can now automount and access password protected samba shares (after adding authentication user/password, the protected share will show up after reboot). * Note that introduced with Netrunner 14, Firefox is “preloaded” on systems with >2GB RAM for an almost instant startup time. That means that normal memory useage would be about 250 MB lower due to Firefox being kept in RAM. Several other programs have been updated to their latest versions, like Skype, LibreOffice and VLC media player. With marble we included the best map tool for the KDE Plasma desktop. It includes not only different maps from which you can choose and also use in education (when it comes to historical maps) but also allows you to plan and find routes for your next trip by car, bicycle or by foot via direct access to the search fields. You can get the Netrunner 14.1 ISO at our Download Page .